Here was found the 4th Minoan palace of Crete, which is the only one that was not looted. Built around 1600 BC it had 180 apartments and covered an area of 8,000 square meters. 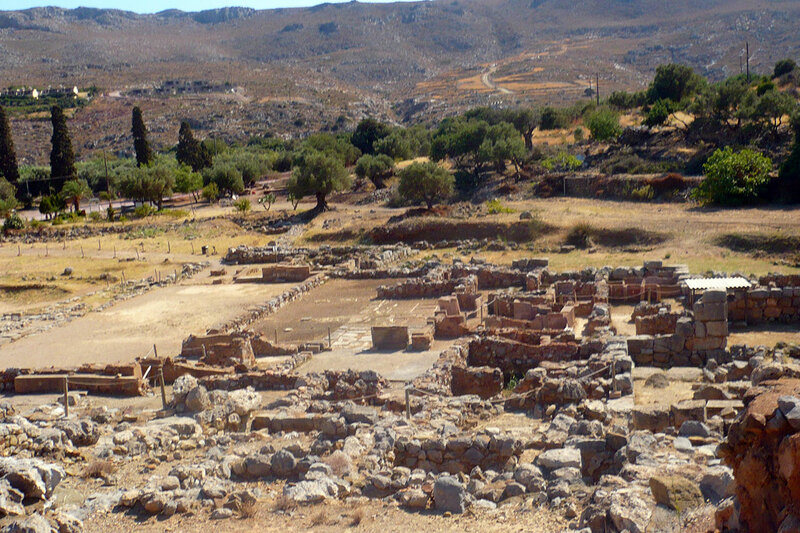 The excavations at the site began D. G. Hogarth but the main excavator of the palace is the Professor Platon. 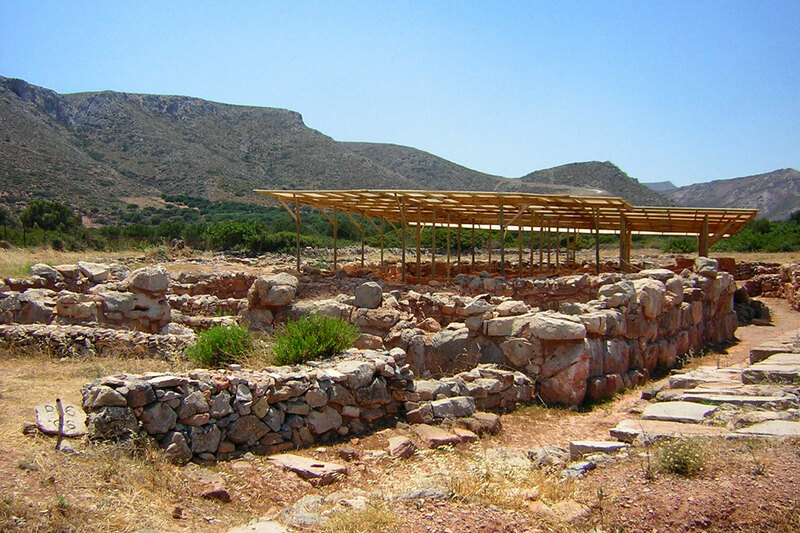 The ancient palace of Zakros is smaller than the other palaces but has a similar arrangement with the palaces of Knossos and Phaistos. It has a central courtyard (patio) around which the building is developed with labyrinthine layout, it has three western entrances and a main entrance where there is an altar. On the west side of the palace were the rooms for the dignitaries while in the northern side the banquet halls, the skylights and on the same side were large basins that had ritual character. 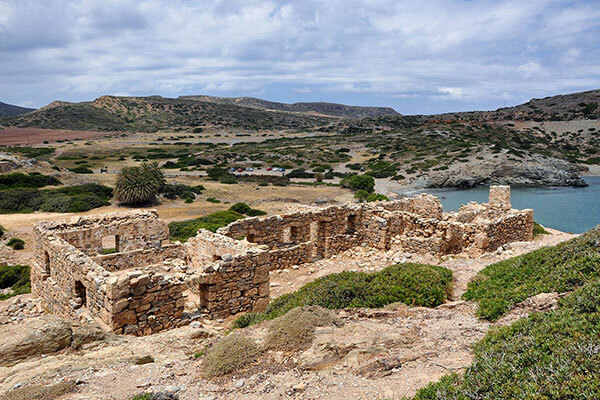 The main apartments and the various workshops were on the eastern and southern side respectively.The location of the palace was important because they could trade with the East as well as the other palaces of the island. In the palace were also found a lot of pottery, which were in the treasury of the palace. Also among the interesting findings there are big swords with gold leaf, ivory, bronze ornaments from Cyprus and one amphora depicting a sacred peak and wild animals. Many of these findings are in the Archaeological Museum of Heraklion. The Gorge of the Dead is one of the most interesting gorges of Crete and is found at the end of the European path E4. 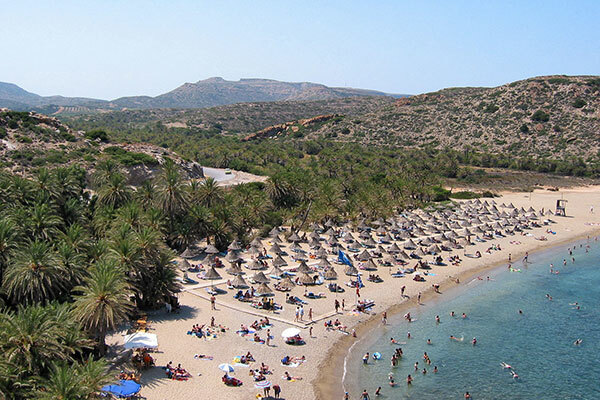 It starts from the village Pano Zakros and ends at the beach of Kato Zakros. 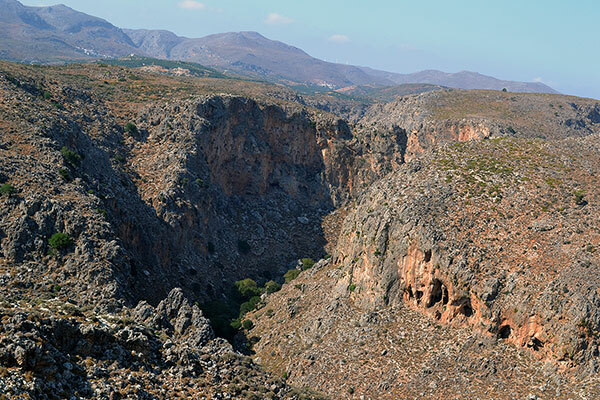 The name "Gorge of the Dead" was due to the Minoan graves found in caves in the cliffs, which are visible during the tour. The various geological formations create a fantastic scenery. 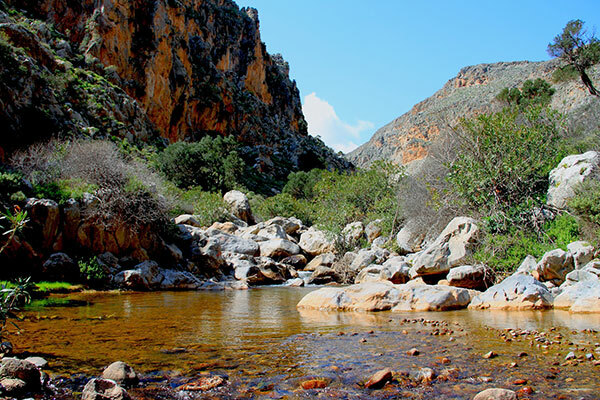 The gorge is full of life and because of its natural beauty the Minoans believed that engraved there, they would continue their posthumous life in this place. It is passable in winter and summer. At the end, just before leaving the valley of Kato Zakros, climbing areas have been created for those who love sports. 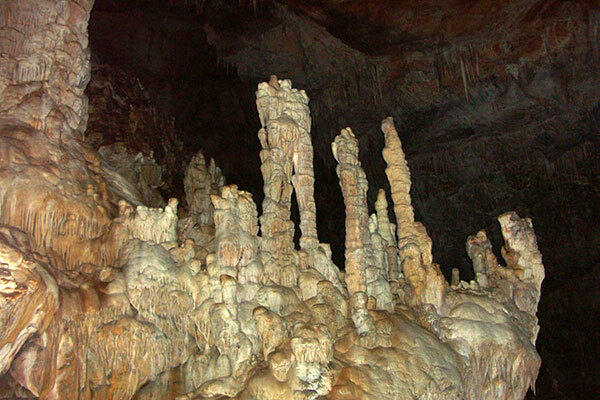 Special mention deserves the Cavern “PELEKITA”, one of the largest caverns at Crete. 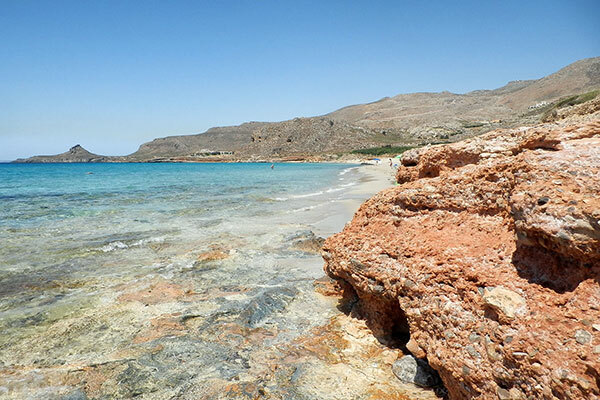 It is located 5 kilometers from Kato Zakros and it can be reached on foot or with a small boat. Its length is 310 meters and at the end there is a small lake with water and the excavations that had been done, have found human skeletons as well as traces from habitations from the Neolithic era. 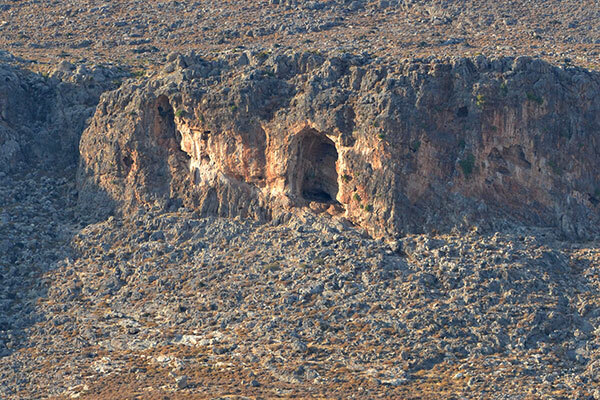 Near the cavern is an ancient limestone quarry (soft porous stone) and because of this the cavern took its name. The walls in the courtyard of the Minoan palace have been built from this limestone. Spiliara is another cavern in the north side of the valley of Kato Zakros where the holy cavern of Minoans was located. 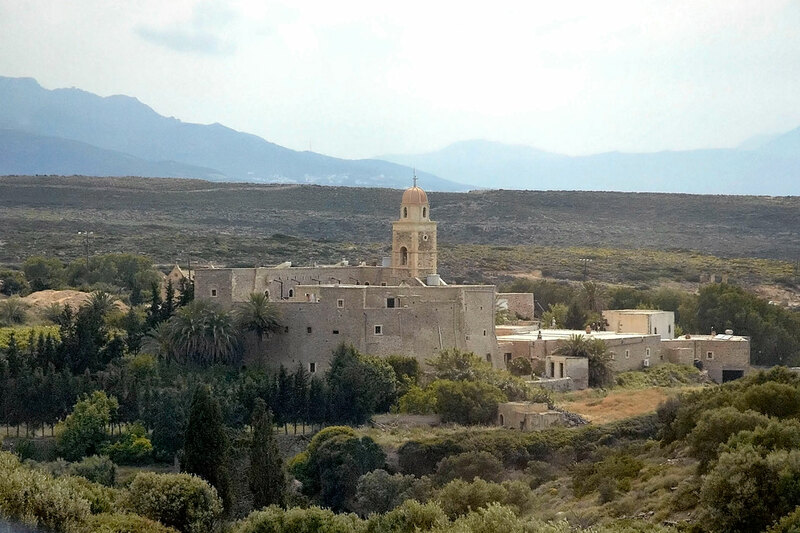 You can visit it by car or even on foot, from the old road which connected Zakros and Kato Zakros before 1985, when the new road was made. It is a dirt road in a good condition that in some points is at the edge of the gorge, offering a magnificent view. Continuing your walk, do not forget to visit the water spring of Zakros, leaving for a while the wild beauty of Kato Zakros and taking a breath of freshness among the trees that shade the sources.